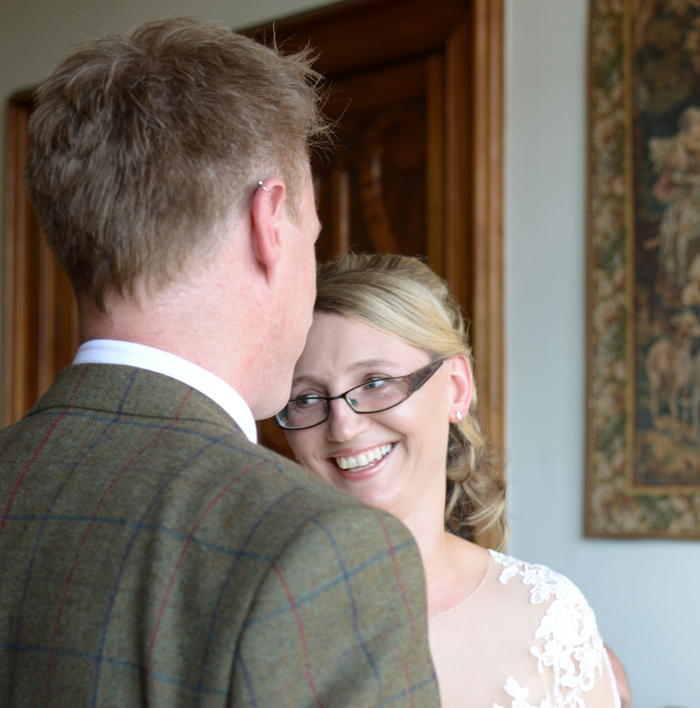 Sian and Ben were married at one of our favourite wedding venues, Chateau Rhianfa on Anglesey. 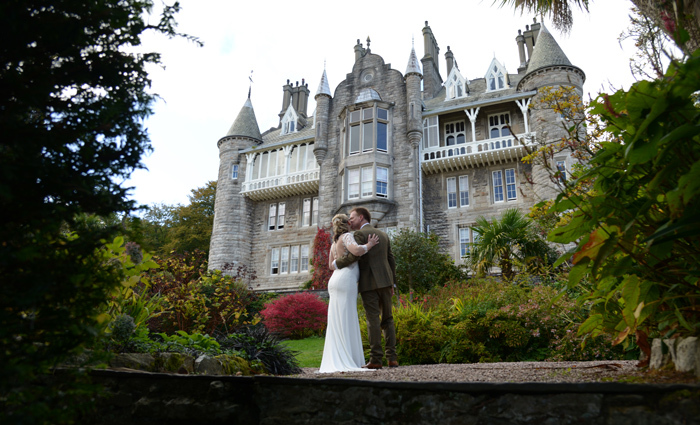 We love doing wedding photography at Chateau Rhianfa for multiple reasons: it has lovely light falling through its windows, making it a great location for wedding photography even on rainy days; its grounds provide plenty of spectacular - and hidden - places for photographs; and the views from both inside and outside are amazing. 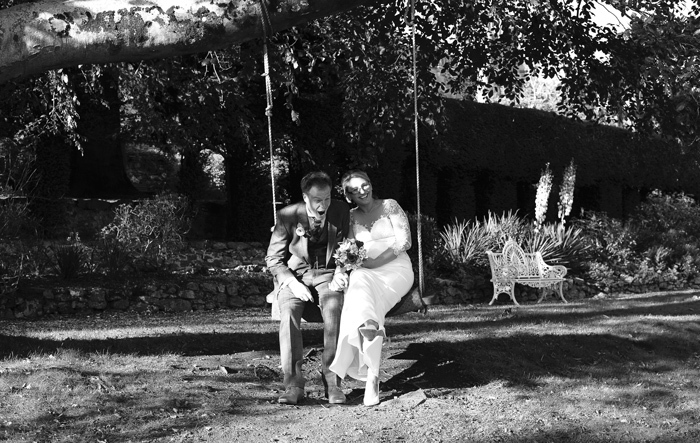 After the newlyweds had enjoyed time with their guests, we chose some beautiful spots around the Chateau’s gardens for pictures just with them. 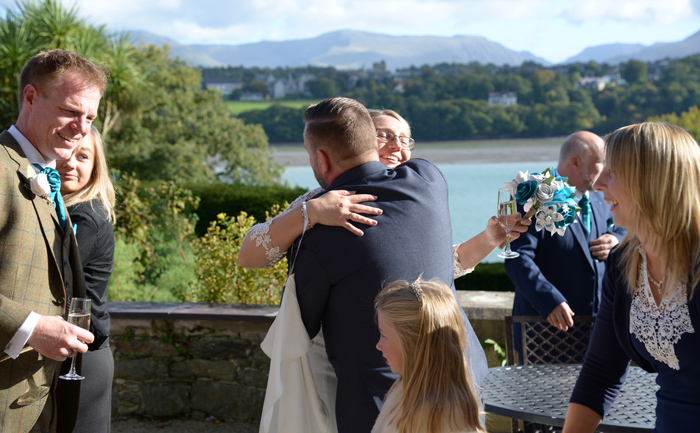 We were spoiled for choice, as the venue offers, among other locations, a swing, a gazebo and of course the Menai Strait (which required some creative camera angles because the tide was low). 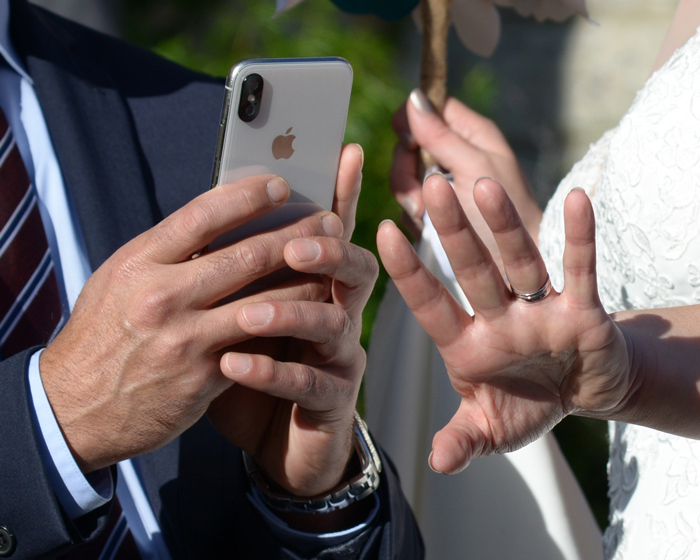 This is the part of the wedding where we like to capture some romantic images, and because of Sian and Ben’s fabulous personalities we were able to capture a lot of mucking around too, which was great! 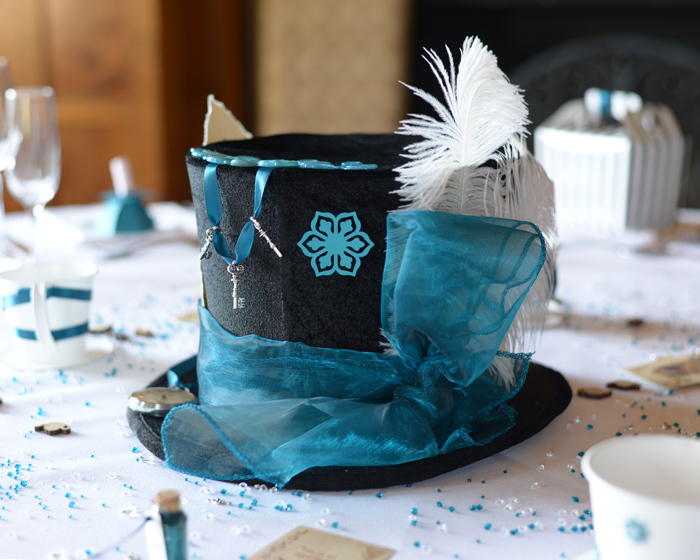 Special mention should go to the couple’s fabulous teal colour scheme, which really popped. 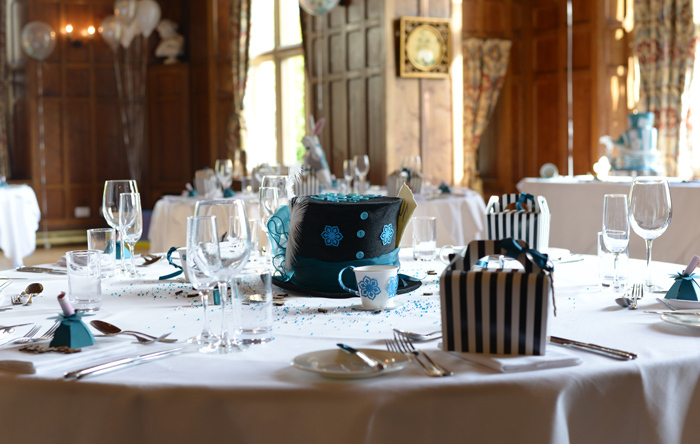 It brought the reception room to life and looked wonderful against the bride’s white dress. 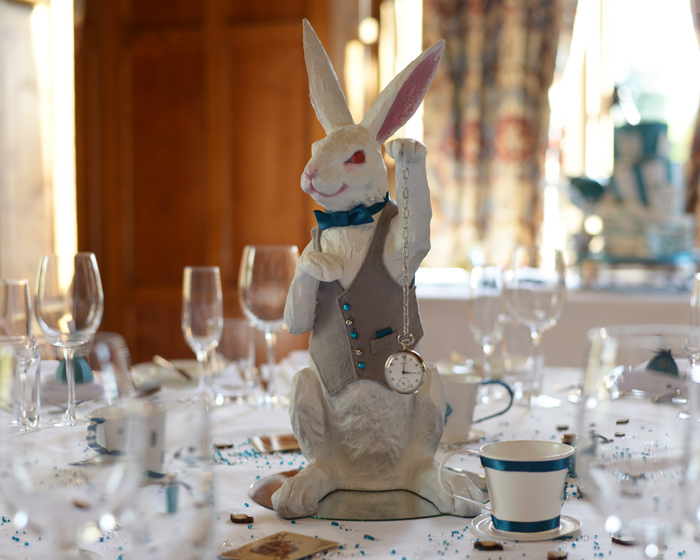 The groom made the Alice in Wonderland-themed table decorations himself, down to hand-sewing the White Rabbit’s waistcoat; they looked really impressive and we made sure we captured all the details. 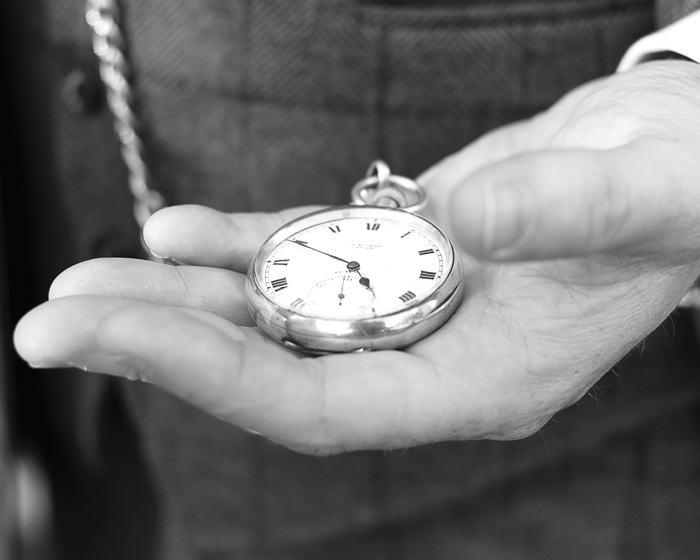 We also took the opportunity to capture the couple’s accessories, including the groom’s family heirloom watch. 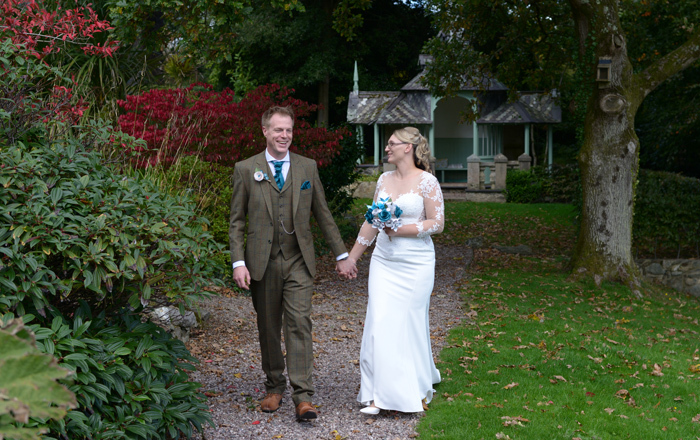 We had a lovely afternoon capturing this wedding; it was a lot of fun and the venue is one to be recommended. 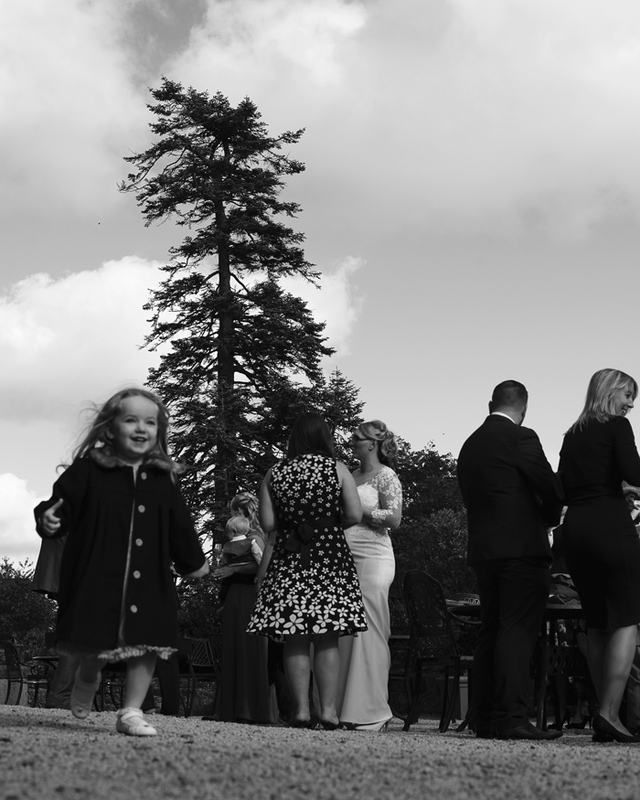 The Bodnant Estate provides a range of stunning locations for wedding photography. 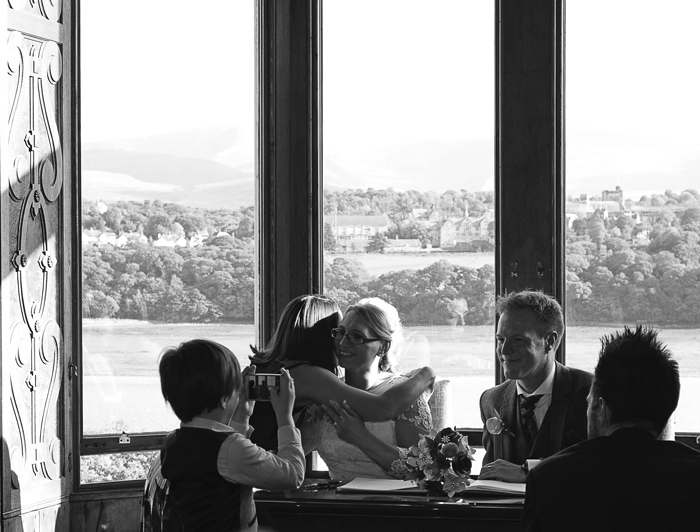 You can have your wedding photographs taken in Bodnant Garden (click here for more details) or get married at Bodnant Welsh Food. 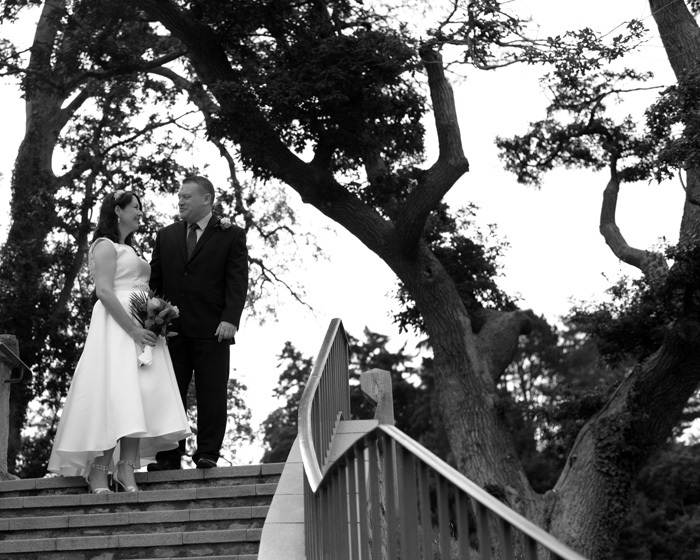 Helen and Jason had a beautifully simple wedding at the Bodnant Welsh Food Centre. 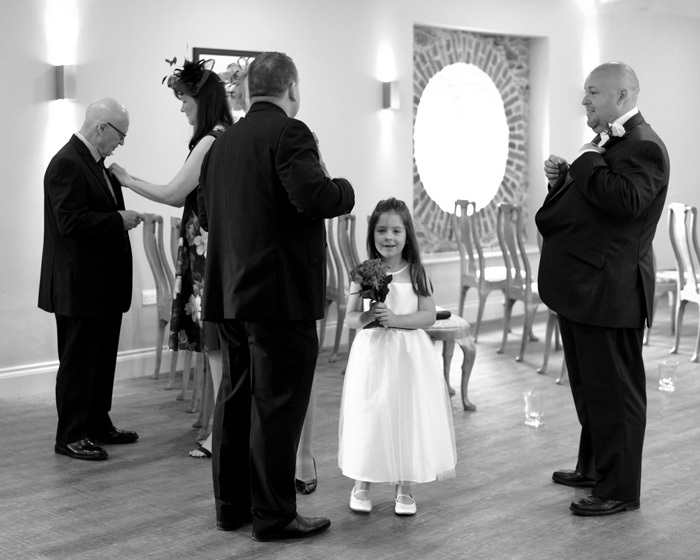 The ceremony room, which is named the Pochin Room, is light, modern and airy, and provided a great location for wedding photography. 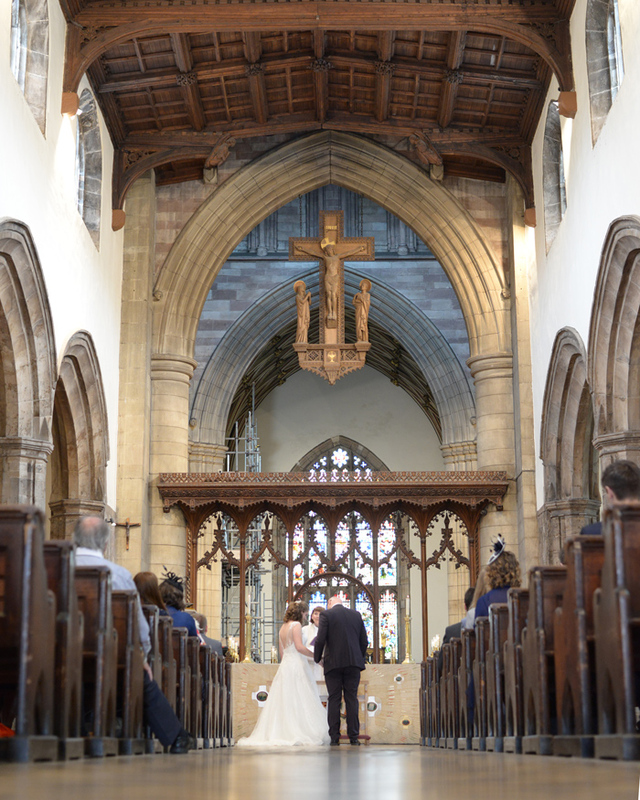 We particularly liked the hurricane lamps positioned down the aisle, and are pleased to report that we managed not to trip over a single one! 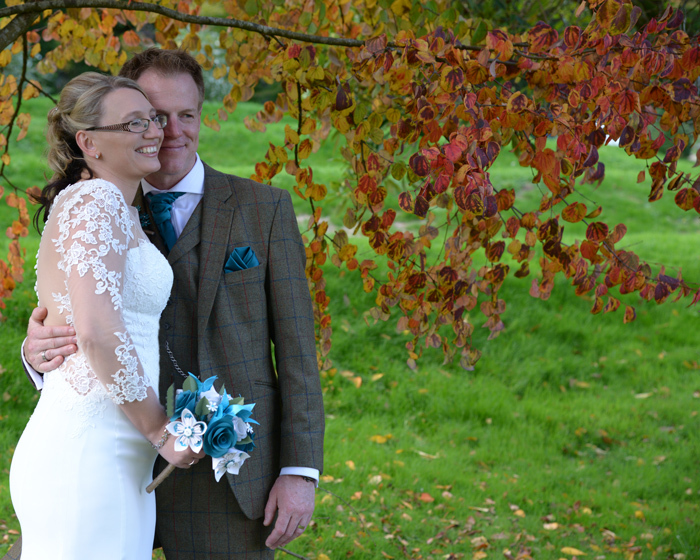 We love Helen’s vintage-style look and the pops of red created by her lipstick and bouquet. 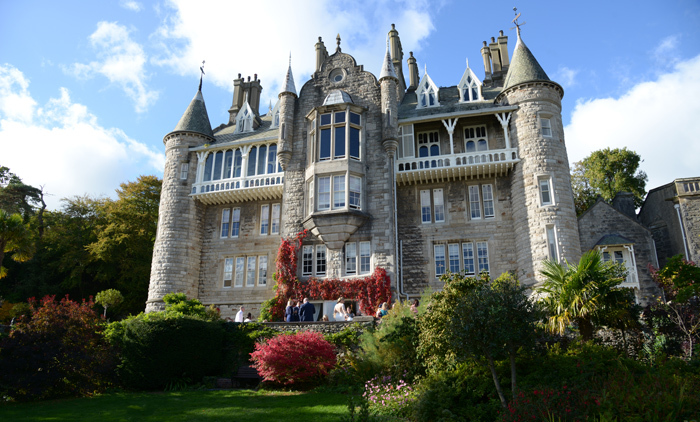 Overall we thought that Bodnant made a relaxed and modern venue, which we’d recommend to anyone planning an informal day, especially foodies! 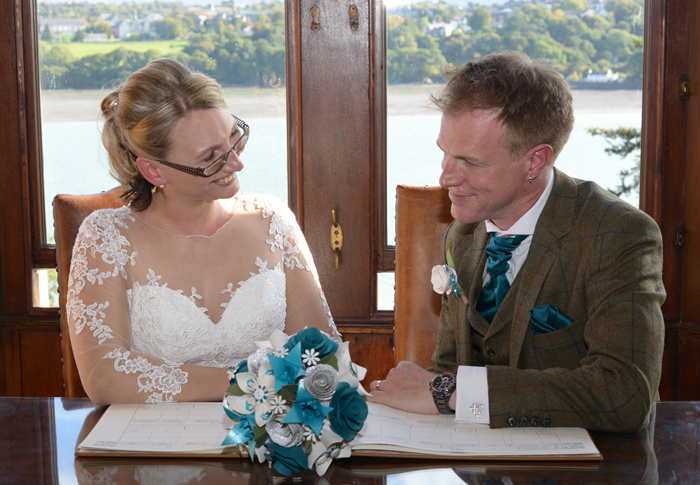 Catrin and Jamie had a grand yet meaningful wedding ceremony at Bangor Cathedral, followed by a reception at the Victoria Hotel in Menai Bridge. 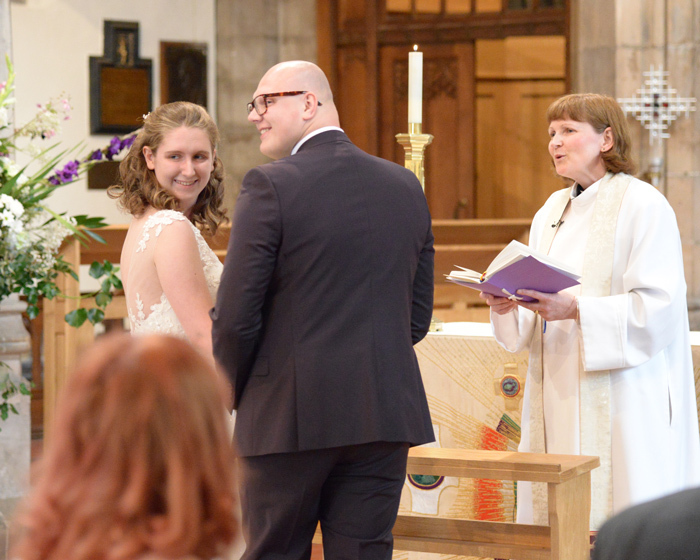 We were asked to photograph the events at both the Cathedral and the Victoria. 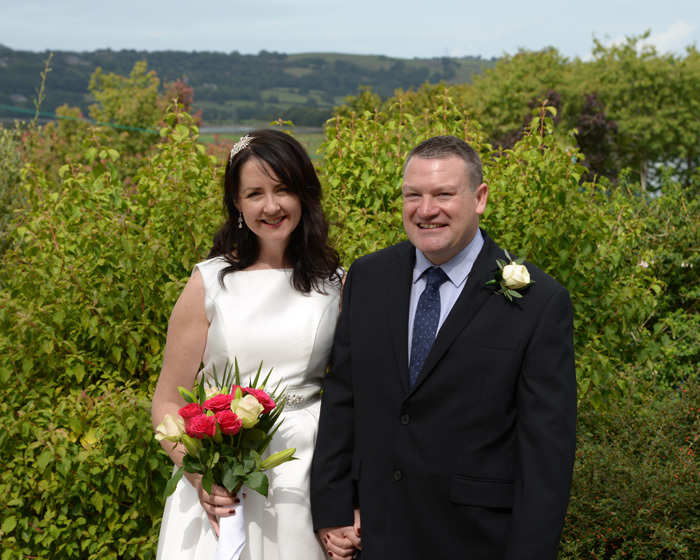 The locations in Bangor and Menai Bridge provided wonderful scope for wedding photography, and the four-hour photography package chosen by the couple meant that we had plenty of time to cover the wedding in both places. 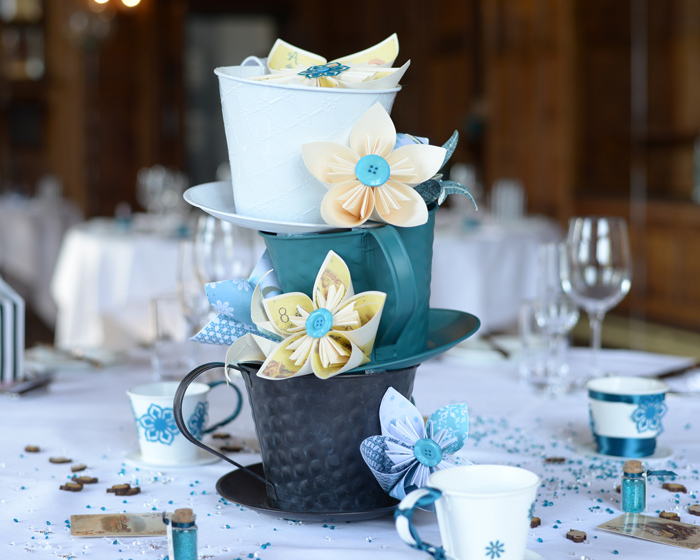 Here are just a few of the images we created for the couple. 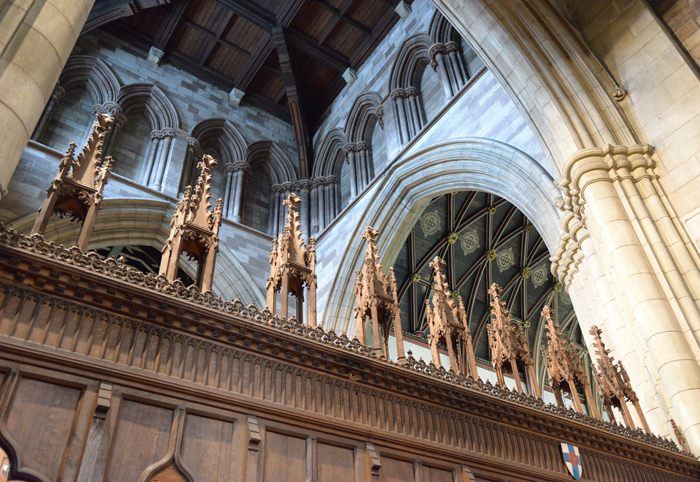 The time before the wedding is a great time for capturing details of the venue (in this case, the soaring grandeur of the Cathedral), plus the groom greeting his guests. Don't you love that wonderful hug in the image below?! 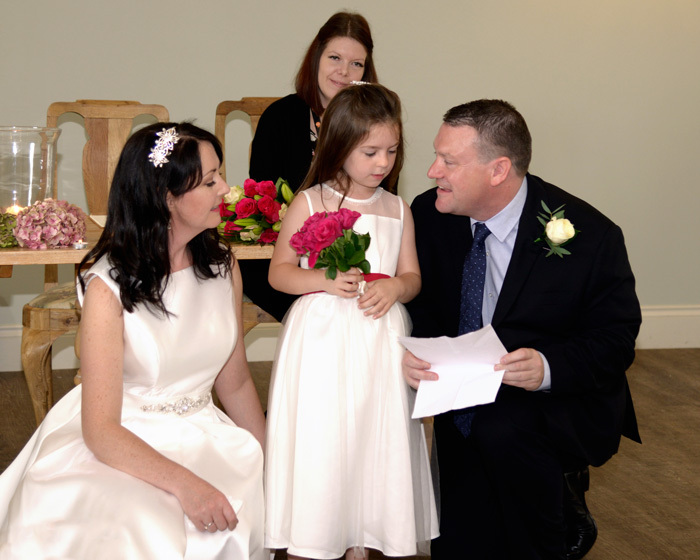 We captured the informal moments after the ceremony, and then created heaps of group shots to include the almost 100 guests. 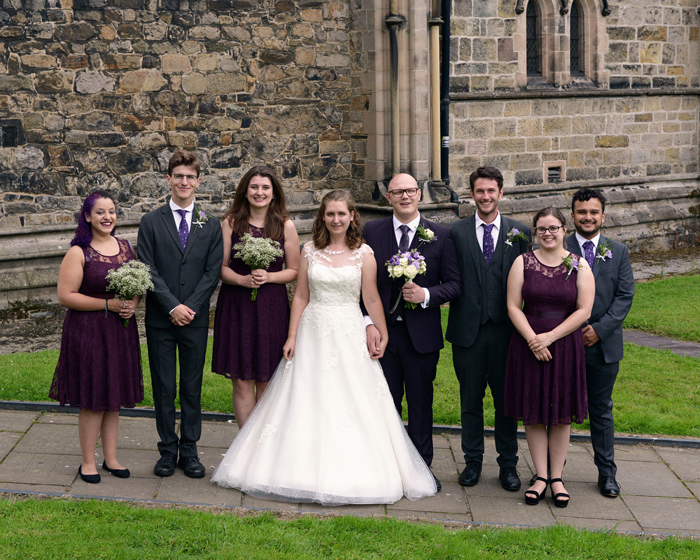 Our favourite is the image of the bridesmaids, best woman and groomsmen below as we love the informality of the little jokey detail - can you spot it?